had an article about it. The article did mention the model I built. The photo at the left shows one of the B&O's locomotives decorated as one of the locomotives that hauled the funeral train. 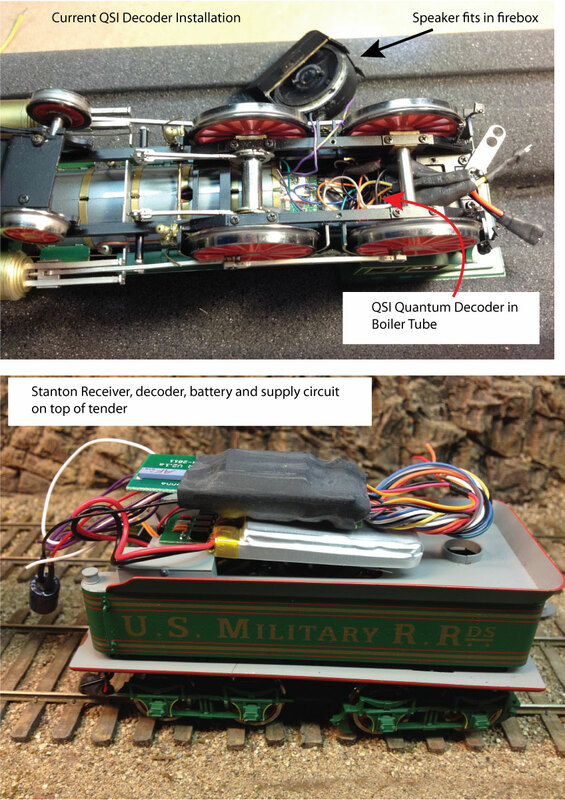 This month Model Railroader ran an article about battery powered locomotives in model railroading. 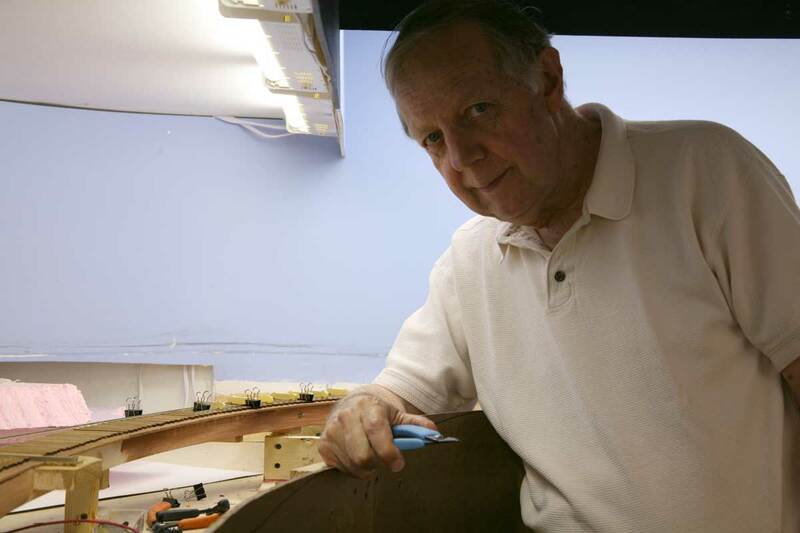 Veteran author and model railroader Paul Dolkos wrote the article. Paul is not a battery power user so he brings an unbiased perspective to the issue. In fact, one could even say he was skeptical about the need and utility of battery power. He interviewed several model railroad battery users and presented a nice overview of the subject. In reading his text, one could get the impression that my battery conversions have not been that successful. That is not the way I feel about it. He quotes me as saying words to the effect that, "sometimes the locos don't charge due to dirty pickup or other issue." While I may have said that, I have since learned how to avoid that issue. As proof, I can say that my battery locos have not run out of charge since they returned from the NMRA show at Atlanta. That is over two years ago. Admittedly, I have not had any extended op sessions in that period, but the batteries have performed well. As I mentioned last month, I am looking at the keep alive circuits as an alternative to battery power. The main reason is ease of installation and packaging. Trying to cram the required components of the Stanton system including a BPS, battery, DCC decoder and speaker into a O scale 4-4-0 is not an easy task. I am hoping the keep alive equipped decoders will fit more easily. Since I already have DCC on my layout, it is not much more expensive to add the DCC decoders with keep alive circuits to a loco. On March 13, Tim Harrison of the Model Railcast Show interviewed me for two hours about my model railroad escapades. It was a fun interview, though next time I need to check some of the things I say, as I made several factual mistakes mostly due to faulty memory or just talking so fast I got tongue twisted. Here is a link to the podcast. The podcast is also available on itunes. I suggest you get a beverage of choice and take a swig every time I make a mistake. Just don't drive afterwards if you select an alcoholic beverage. Russo-Japanese War was 1904-1905. Japanese casualties were high but not 600,000. Estimates are about 50,000 -70,000 Russian and 80,000 -86,000 Japanese losses. I made a road trip to Norfolk and Newport News last weekend. 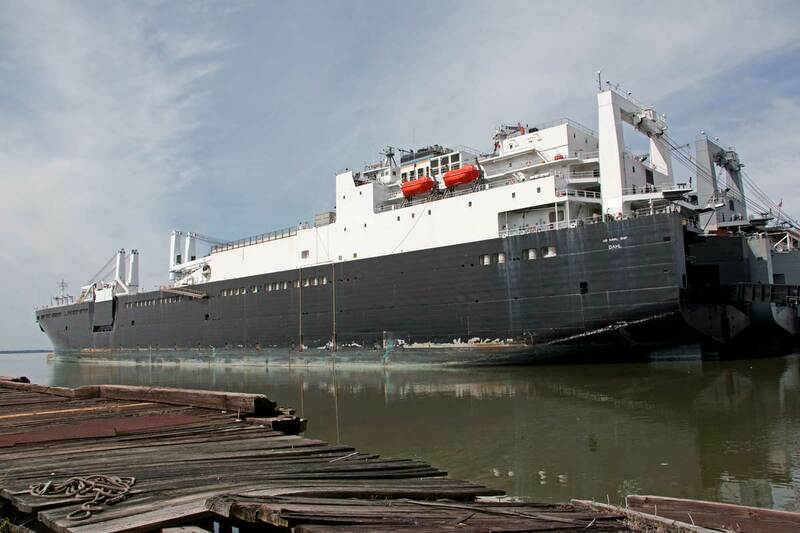 Norm Wolf set up a tour of a USNS MSC ship as part of the research for my next book. It was really interesting to tour and see some of these rapid deployment ships that the United States has to move our military forces to hot spots around the world. On the way home I stopped at Cold Harbor and Gaines Mill Battlefields. 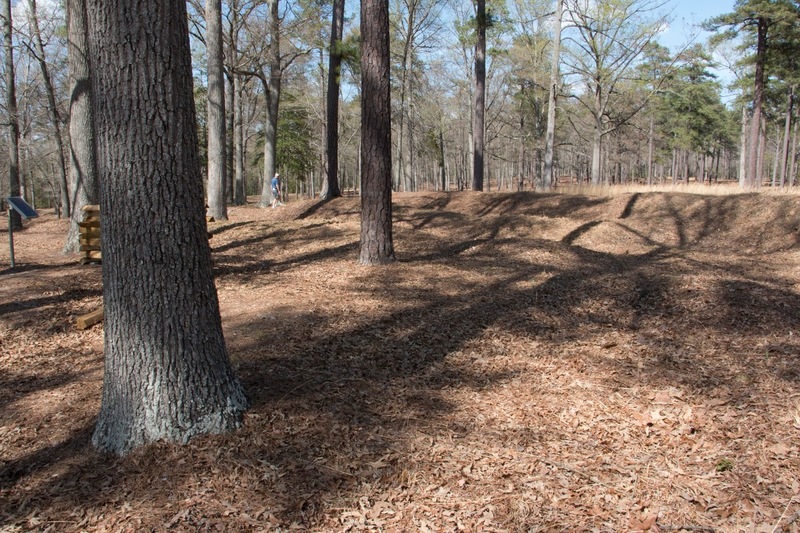 This is another spot in Virginia where multiple battles occurred in the same area in different years. I was particularly interested in Gaines Mill and the Watt House because I plan to build a model of that farm house for the Brook area on my layout. I have a copy of the architectural drawings from the HAER. The National Park Service has a small visitor's center at Cold Harbor. It overlooks an open field where the Union launched part of their futile attack. It was interesting to see many remnants of the earthworks still exist. The works survived partly because they were so extensive, the local farmers felt that it was too much work to try to reclaim the land. Note that none of the trees in the photos existed at the time of the battle. 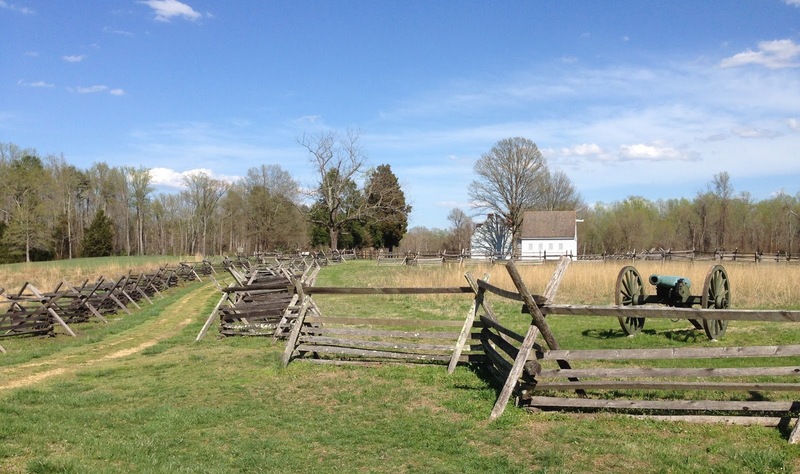 The Gaines Mill battlefield was really well preserved and or restored. The NPS has created a great place to visit. It was deserted when I was there so I had the battlefield park to myself. 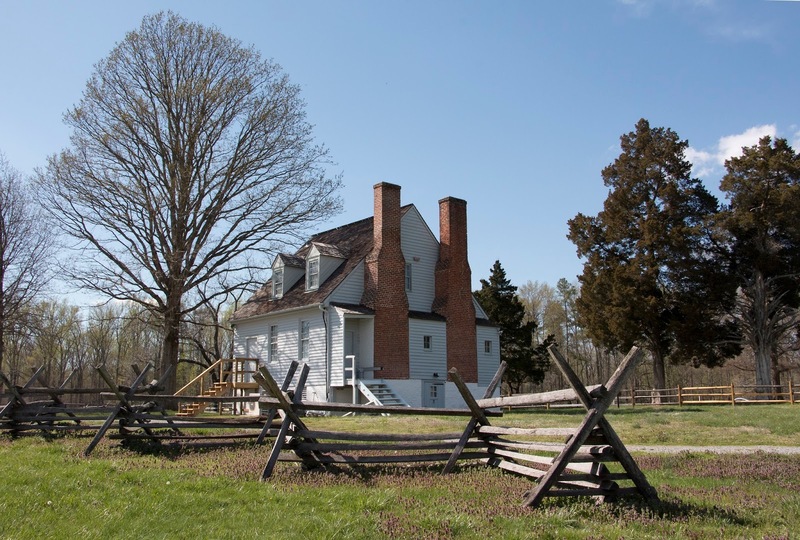 They have an extensive recreation of the worm fencing in the area, as well as the restored farm house and barn. I really enjoyed my visit and hike around the battlefield on a beautiful spring day. In general the terrain at these battlefields is relatively flat, but the Watt Farm lies on the south side of Boatswain's Creek. It has quite steep banks and ridges coming out of the creek. I am glad I never had to attack up that slope. Position of the 5th Massachusetts Battery at Gaines Mill. Boatswain's Creek is on the left side of the image. For my latest book, I designed 45 new track plans. They range in size from small shelf layouts to huge basement filling dream layouts. For the track plans I used improved graphic techniques. 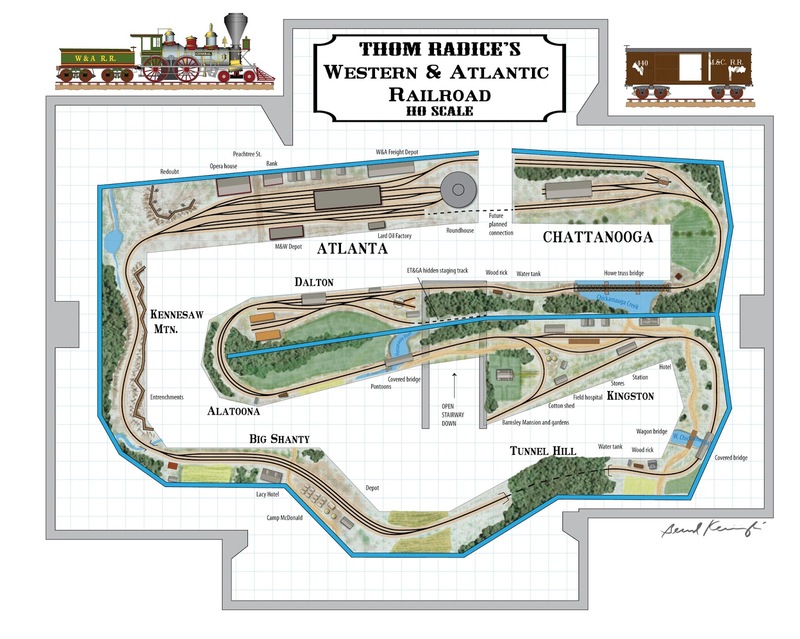 To show what I mean, here is a sample track plan drawing I did for Thom Radice's W&A RR layout. He designed the layout, I did the graphics from his rough sketch. It is not in my book, but it illustrates the new style of track plan graphics. Thom's layout is in the attic story of a large Victorian Style home. The ceiling is steeply sloped, that is why the layout does not hug the walls. If you want to see more of this gorgeous layout, it is featured in my book, "Model Railroads Go to War." You can also visit his blog at http://western-and-atlantic-rr.blogspot.com. If you would like a similar drawing of your layout, please contact me to discuss the project. The fees depend on the amount of time required. 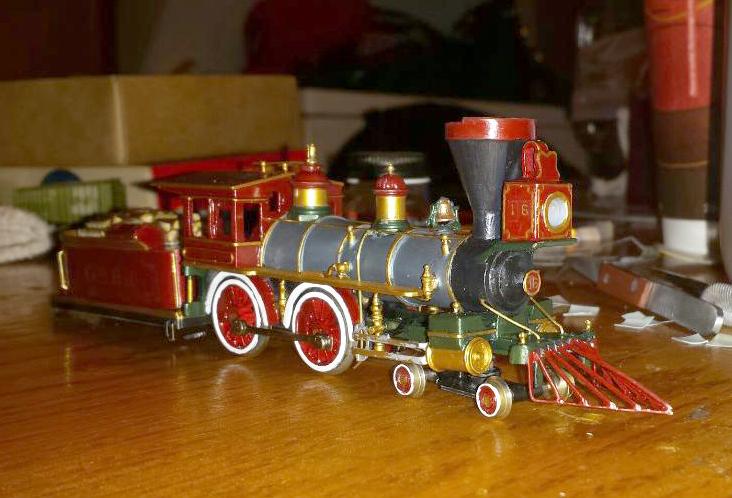 Steve Groft sent some images of the finished scratch built 4-4-0 locomotive. He showed me the work in progress loco last year at the NMRA South Mountain Division Show in Blue Ridge Summit. 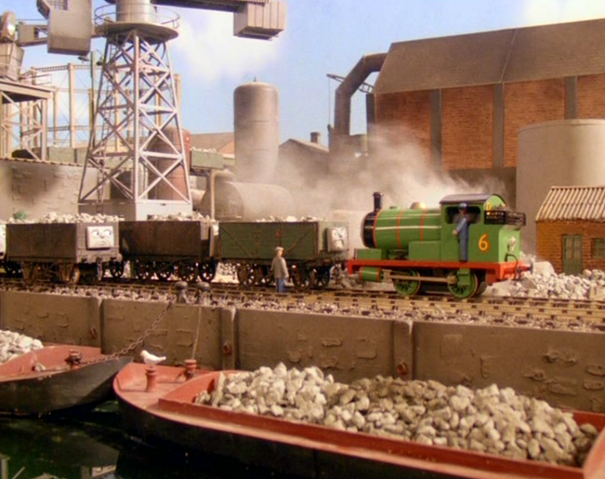 After thinking a lot about my layout, I decided to replace it with a new layout based on the Knapford Harbor from Sodor. This is a decision that I have contemplated for a long time. But now that I made the decision, I am excited to move forward. The layout will be based on the Sodor and Mainland Railway. Operations will focus on the harbor and interchange with two narrow gauge lines. The narrow gauge lines will enter the closet where they will take a helix to the middle level of the house. The living room will have floor to ceiling mountains utilizing the heretofore unused 14-foot ceilings of the main level. The harbor will have real running water. Why not the basement floods all the time anyway. Might as well keep it flooded. That will also keep all the dust under control. I wonder what CV's control loco face expressions? Now, if you are wondering what this was all about, please check the date of the post. Yes, it was an April Fool post. But, the more I think about it the less crazy it sounds (not the part of the flooding and helix though). It would be a hoot to make a fine scale Thomas themed layout. Oh well, we'll be back to our regular blogging soon.